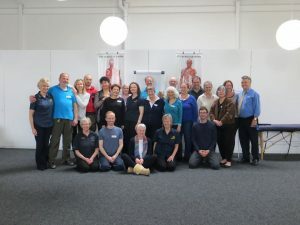 We started our Emmett journey way back in 2009, and as we speak to people realise how fortunate we’ve been to do so much training directly with Ross Emmett himself, so I’ve compiled a list of all the training we’ve done. 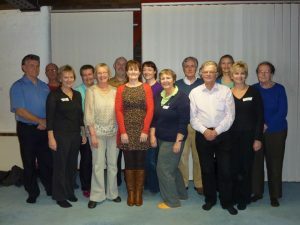 Such a good two days with Sue & Lesley teaching their first EP5 Course, renewing friendships and making new friends. pain in front & back of shoulder when moving it forward. pain deep underneath the armpit. We had an amazing couple of days on EP4, working with some really excellent Emmett technicians. Sue & Lesley do a superb job passing on Ross’s technique. 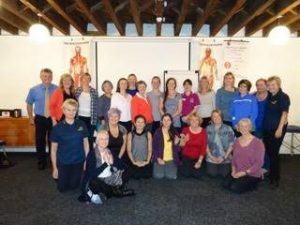 side cramping & pelvic floor weakness. toe movement & grip with the toes. 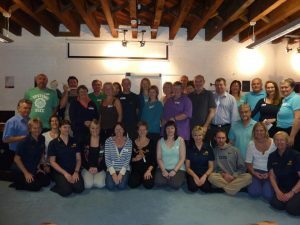 Paul & I have been on Emmett Advanced practitioner training, this time taking EP3 with Ross Emmett. 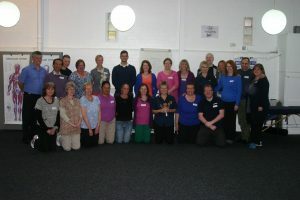 Paul & I have been on Emmett Advanced practitioner training, this time taking EP2 with Sue Gassick & Lesley Salt. lower back cramp, deep seated hip joint pain, deep inner thigh pain. neck pain which has not responded to other releases. Sequence’s for uneven shoulder height and twisted hips. Achilles & heel pain sequences, also releases to free up ankle joint restrictions. a gentle way to release acute and unresponsive knee pain. 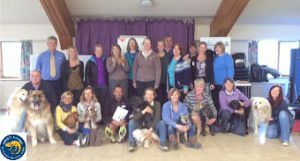 One of our great pleasures is to attend training together, yet we don’t work with each other in classes as we get to do that at home, so we try to meet & work with as many different people as possible. 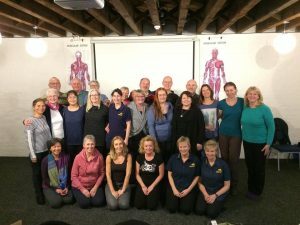 The Spinal Balance – where Ross shows us how to integrate the spine for clear communication and stability, really helpful where there is a lack of focus and clarity. release for abdominal pain after eating, pain under the sternum, reflux, and breathing restrictions. A move to release deep seated hamstring pain and sciatic pain. 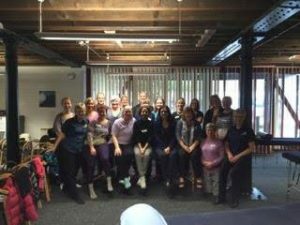 This was a very special day where Ross demonstrated more about how to integrate Emmett Technique, this time with Bowen Technique – all targeted at getting the best results for the client. 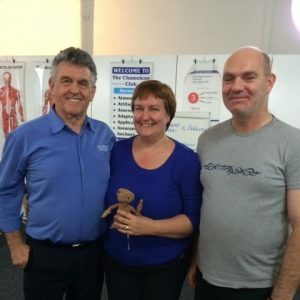 This was very special to be able to learn directly from Ross Emmett how he understands & uses Bowen Therapy, the understanding conveyed transformed the way I work and gave Paul the confidence to do more sessions on a therapy couch. 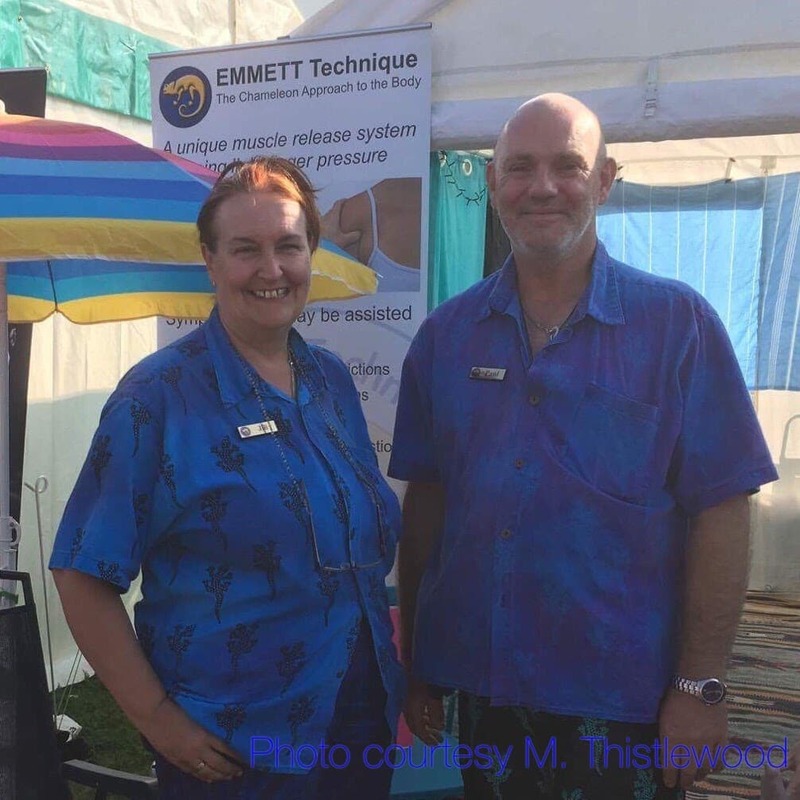 Ross Emmett sharing how Emmett can be integrated into therapists existing modalities – filled with demonstrations, discussions and practical work. 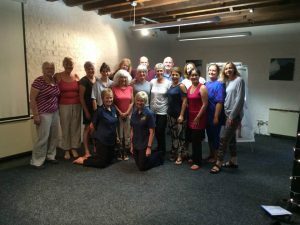 Teaching the moves is quite different from being a therapist, but Sue made it less scary & build confidence in how to share EMM-Tech the ‘Ross’ way. After being blown away by the EMM-Tech we signed up for the practitioner training & were so surprised that Ross Emmett himself was leading the course in Leek Wootton.